The Municipality of the County of Cumberland boasts a wide variety of facilities and parks throughout Cumberland County. Below is a list of the facilities and parks located throughout the County. 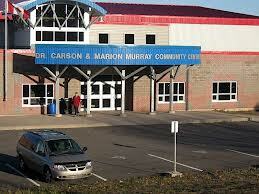 The Community Centre has an area with an NHL sized ice surface and seating capacity of 800. There are five dressing rooms, a room for officials, lobby, storage facilities, canteen with kitchen, coatroom, meeting/boardroom, walking track, 3,100 square foot common room, and a teen centre. For up to date information on programs and services available at the Community Centre, please visit the Community Centre's Facebook page. The Dr. Carson & Marion Murray Community Centre welcomes all businesses and organizations interested in advertising within our facility. With an estimated audience of 1500 spectators and users per week, your message will be seen by a broad range of potential customers from Cumberland and further afield. 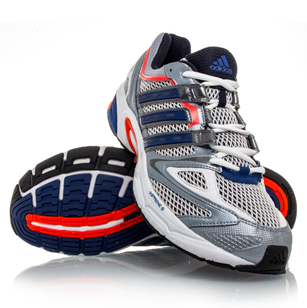 Advertising is an excellent tool to drive business! For more information on available opportunities to promote your business, as well as a complete breakdown of advertising rates, please contact our Administrative Office at 902-763-3000 or by e-mail at . For rental inquiries, please visits Forms and Applications. The Community Centre is completely wheelchair accessible and has ample FREE parking available! The Ross Anderson PharaChoice Teen Centre is open daily from 4:00pm - 9:00pm (with the exception of Blues Games) to Springhill High School Students, grades 7-12 (including youth 12 years of age in grade 7). The Teen Centre offers youth a place to come and enjoy board games, pool, ping pong, darts, video games as well as weekly activities, trips and their Annual Halloween Dance. Please Be Respectful Of All Walkers!!! 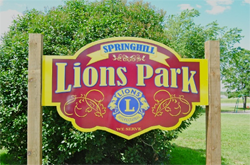 Named in honour of Lion Naz MacDonald, a 1.8km outdoor walking trail in Springhill that circles the Lion’s Park. 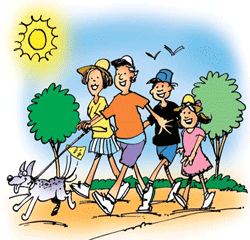 This fitness trail provides an opportunity to experience the beauty of various species of shrubs and flowers. Constructed by the Town of Springhill, Service Canada & Corrections Canada. The Lions Park was originally named Victoria Park for Queen Victoria. There used to be a bandstand on the corner of Main and Lisgar in Springhill where music was played every Sunday afternoon. Hurricane Hazel blew the roof off in 1952. Shortly after, the Lions purchased playground equipment and began taking care of the grounds. The park later became know as the Lions Park and the Municipality of the County of Cumberland presently owns maintains the park. The Lions Park is open daily, dawn until dusk. For more information about the Municipality's facilities and parks contact the Administrative Office at (902)763-3000 or email .